How can I help people give more of their life away? That’s a question that I’ve been wrestling with for the past nine months or so. As a pastor I’m always trying to figure out where the next spot is, spiritually, that I should lead our local church. And the thing I keep coming back to is that we want to love people well and part of loving people well is serving them. But why ask THAT question at all? Well, simply put, the measure of a life well lived is not in how much one acquires or accomplishes, it’s in how well one loves. This past Easter, our church, Two Cities Church, partnered with Action Community Church, the City of Clovis Parks and Recreation Department and the Clovis Police Department to put on the very first church-city Easter event to serve our community. We planned for 3,000 people and ended up with over 2,000. Enjoy this vlog I put together showing some of the set up, event and tear down process. Today marks the end of a significant part of our family story. We have shut the door on an incredible season of personal and family growth. And we have opened a new chapter. On July 3, 2017 we welcomed a little boy into our home as our foster son. Elijah came to us at just the right time. He hit the ground running, growing, learning, and yes, screaming too. And it’s been a big process adjusting to life with three kids and it’s been especially challenging because he came to us at 3-years-old. Erica and I have always felt called to do for one what we wish we could do for all, through fostering to adopt or fos-adopt. Even before we were married we talked about adoption and always knew it was something we wanted to do down the road. We started seriously looking into it close to two and a half years ago when someone called us out of the blue asking if we would think about adopting their grand-daughter’s baby. That threw us for a loop and forced us to begin having conversations. We determined it wasn’t the right time or situation. But we began a process. In that process, even before we welcome Elijah to our home, there were plenty of ups and downs. We were “submitted” for a lot of kids. But we were never chosen. We were praying fo the right child, at the right time, for the right reasons and God did not disappoint. 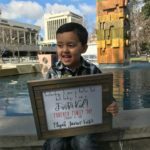 When we were brought to a “disclosure” meeting with the county of Fresno department of social services, we were handed a huge redacted packet of Eli’s history. We asked questions and we were presented with all of the data. And then we had to leave and think and pray about it. The next day our social worker called us and said, “So, what do you think?” All I could say was, “I’m running out of excuses. Let’s do it.” And I don’t regret any of it. Today marks the end of that process. Today, February 23, 2018, we went from fostering Elijah to welcoming him as our newest Foster. If you track with our social accounts, you’ve missed a lot of what’s been happening because we could only post certain things and we couldn’t show his face. But now, as Elijah James Foster, and our son, we can show his face. I’d like to invite you to enjoy this montage video of some highlights from the last 7 and a half months. Our experience with Elijah has revealed to me, even more, the depth of God’s love for us. I can’t wait to share some of those things with you. Stay tuned. There are many myths we live by that God never intended for us to believe. They’re just things that we pick up on and never really think about. Things that perhaps, you learned from the people who unknowingly taught them to you, by how they lived and how they talked. It’s those off-the-cuff and untested nuggets of “truth” that sometimes make the biggest impact on our theology and faith. I recently wrote about one of these myths here: The Perfect Before Presence Myth. 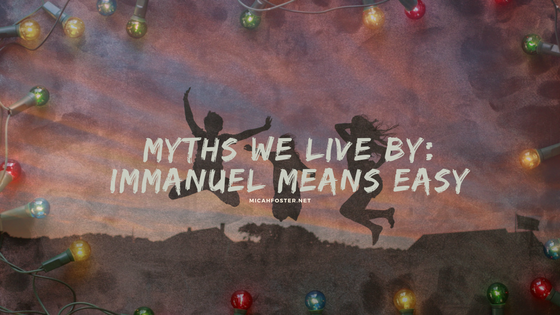 In the spirit of the Christmas, today’s myth has to do with the idea of Immanuel. Jesus demonstrated his love for us by coming down in human form, Immanuel (God with us). Jesus died for us and then rose again, and provided a way for reconciliation with God. We trust Jesus with our lives and everything is easy and clear after that. Ok, maybe I’m oversimplifying it, but isn’t that how we think? I mean, in fact we tend to believe that if God isn’t answering my prayers in the way that I want, maybe He’s not there at all. Right? Isn’t that our logic? Here’s the deal though, if God were small enough for you to control with your will, meaning He always did what you asked for, He’d be less-powerful than you and that’s not the God I want to worship, and not the God I’d trust with my life. 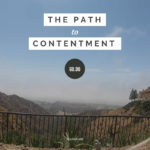 I want to follow, I want to worship a God that doesn’t do everything I want Him to do, but does what is best for me. Isn’t that what you want? You don’t really want someone to cater to your every emotional whim, do you? You want All-Powerful, All-Knowing and Everywhere-All-The-Time, not conjured upon your requests and slips out when you’re done with Him. Jesus, talking to the Father, asks for another way… and the Father doesn’t do it. Since when does Jesus ask for something and it not happen?! Ever get a “no” for an answer to your prayers? It’s not fun, trust me… truuuuuuuust me, I know this one well. But I don’t want a God who changes all his glorious plans because I want Him to. We trust Jesus and follow Him. He acts on behalf of His purposes with our best interest in mind. But His our best interest has more to do with eternity, than the here and now. He’s playing the long-game. He’s knows how everything works out… and it’s glorious. Following Jesus is like walking in a cloud. You can only see a few feet in front of you and He doesn’t clear the next few feet until you take a couple of steps. It’s not all smooth-sailing after you take the plunge to trust Jesus and anyone who tells you it is, is either very fortunate or lying. Take a look at all of the major characters of faith, they all experienced darkness and confusion, even after God revealed Himself to them. I think it’s time we stop, inadvertently, teaching, whether in word or deed, that Immanuel Means Easy. We know better than that, don’t we? What myths do you accidentally live by? Are those myths holding you back from truly living a life of freedom? He didn’t think God could forgive him. Timothy was baptized at Two Cities on Easter Sunday, April 16, 2017 by his father, Gilbert. Needless to say, they did not like my response too much. But it’s true. At Two Cities Church we believe that every person matters and we believe there’s only one who’s ever been perfect, Jesus. We are made perfect in Him, not on our own. If we waited until every person stopped sinning, and had enough knowledge of God and the Bible for them to begin following Jesus, we’d have no church… anywhere… globally. Think about that for a second. If you waited until you had stopped sinning, cleaned yourself up and had all the knowledge you could ever know about God, Jesus and the Bible– you’d be dead before you could follow Jesus. You can spend your whole life trying to be perfect enough for God, or you can confess your imperfectness and be made perfect through the grace of Jesus Christ. When Simon (Peter) first came into contact with Jesus he said, “Go away from me, Lord; for I am a sinful man!” (Luke 5:8). Peter later confesses that Jesus is the Messiah, the son of God and Jesus says that upon that confession he will build his church (Matthew 16:13-20). 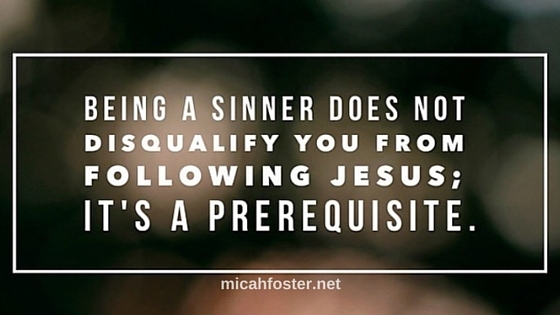 You think you’re too big of a sinner to follow Jesus? So did Peter. Don’t put it off any longer and don’t judge someone else’s effort to follow, begin with you and begin to follow because God’s grace is a huge scandal and it’s a scandal you need. 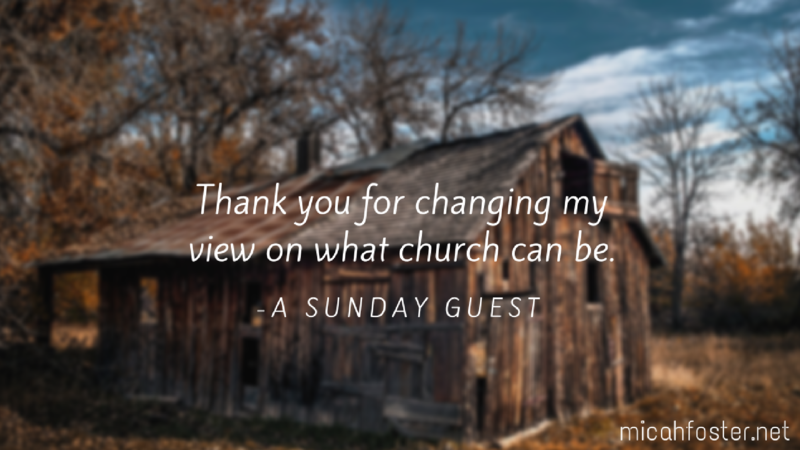 When we started Two Cities Church, we literally thought to ourselves, “What would a church that (insert name here) would go to look like?” Jamie Medeiros was one of those names. Erica and I have known her for many years now and we’ve never stopped praying her and her family. At one point she told me, “I hate that $%#&*#$* bible.” And now she proclaims Jesus. I am blown away at how God has worked in her life. 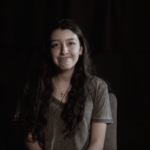 Now because of the faith she has in Jesus and because her and her son Jack come every week, her son is now telling others that Jesus loves them. Imagine how differently our lives might be, if we honestly knew and lived as if this was true. Come and See what we’re all about.